Day 03: Drive to Agra. Afternoon visit Agra Fort & Taj Mahal. Day 04: Morning drive to Jaipur enroute visiting Fatehpur Sikri. Evening at leisure. 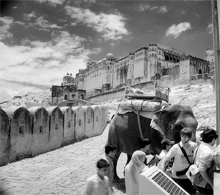 Day 05: Morning excursion to Amber Fort followed by city tour. Day 06: Morning drive to Jodhpur. Evening at leisure. Day 07: Visit Mehrangarh Fort, Later visit Jaswant Thada, Clock Tower & Umaid Bhawan Palace. Day 08: Morning drive to Udaipur enroute visiting famous Ranakpur Jain temples. Day 09: Morning half day city tour. Evening sunset boat cruise at Lake Pichola. Day 10: Morning flight to Aurangabad via Mumbai. 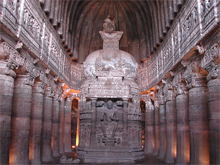 Day 11: Excursion to Ajanta to see the excavation dating back to 2nd century B.C. Day 12: Morning excursion to Ellora caves. Later, city tour. Day 14: Day to relax by the beach; sun sea & sand. Day 15: Day at leisure or for localised sightseeing. 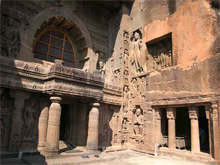 Aurangabad is the gateway to Ellora and Ajanta two of the most interesting historical sites in India. These 2000 year-old manmade caves were literally scooped out of solid rock by Buddhist monks who chose these sites for their seclusion. When the echo of the chisel faded, so did the world`s memory of the caves. Till the beginning of the 19th century, when a British hunting party discovered Ajanta, and the glory of the caves went on show for the world to see. These caves contain not only remarkable sculptures but also very well preserved wall paintings, many still glowing with their original colours. 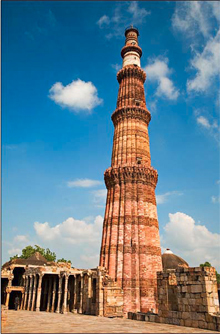 They are truly legends in stone and tributes to man`s devotion and triumph over nature.